There’s no better cure for a sweet-tooth craving than a creamy, ice-cold milkshake. Milkshakes have come a long way in flavor options since they were introduced over a century ago (did you know they used to have alcohol in them?!). These days, you’ll find both the classic chocolate and vanilla flavors as well as delicious fruit and candy-flavored delights that satisfy to the very last sip. Order a cold one at one of these 10 best places to get a milkshake in South Carolina. Between their prime location in downtown Fort Mill to their strong roots in their community to their delicious food and beer selections, Hobo’s is doing it right. Their handspun milkshakes complement their top-notch selection of food that you can enjoy inside or alfresco on their pet-friendly patio. Retro diner-style furniture? Check. Vintage wall signs? Check. Awesome milkshakes that serve up a heaping dose of nostalgia? Check! This place has everything you could want from a milkshake hot spot. Their shakes are made with hand-scooped Mayfield ice cream, served alongside a variety of yummy eats like hot dogs, funnel cakes, and cotton candy. If you aren’t already intrigued by the name “dessert cafe,” perhaps their savory variety of milkshakes will lure you in. Their sweet menu is already tempting, but they give extra care to their signature milkshakes, offering unique combinations like Heath bar, Reese’s cup, or Brandy Alexander (perhaps a nod to the milkshake’s boozy heritage?). Clemson University goes beyond standard classroom education. They’ve created a student-run business venture that makes Clemson’s world-famous ice cream available to the local public. All revenues go to benefit the education and academics of Clemson students. Zesto has been serving up tasty diner food and dessert since 1949, and they remain the local’s go-to for all things ice cream. You can order a milkshake to finish off your meal, or skip the hot meal completely and go straight for the shake. Republic Ice Cream features a variety of cold tasty treats on their menu, but a milkshake this good easily stands out from the other choices. But perhaps the best part is that you can buy your very own pint of Republic ice cream in store to take home for your spur-of-the-moment milkshake needs. And you’ll definitely want to once you take your first gulp. Who would have thought that one of the Lowcountry’s top burger and beer destinations also doubles a milkshake haven? 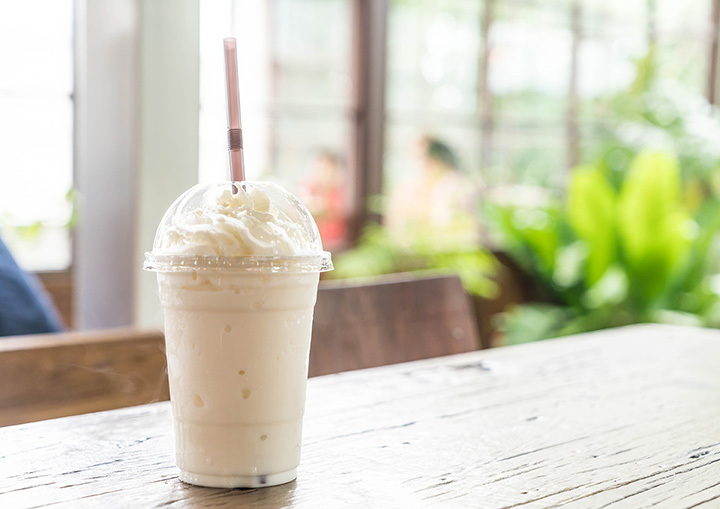 With three locations in the Charleston area (the others are in West Ashley and North Charleston), you can satisfy your sweet tooth with a classic shake, or add the liqueur of your choice to create an “adults only” concoction. Having been a staple in the Florence community for over 60 years, The Drive In will send you into nostalgia overdrive. Aside from their traditional diner-style offerings, you can top off your meal with one of six milkshake flavors. Ever try a baklava shake? Yes, it does exist. Reminiscent of the hometown family-run soda shops of decades past, you won’t be able to resist grabbing a creamy cold milkshake here. They feature 36 flavors of ice cream choices to create a uniquely satisfying milkshake experience. Some folks might argue that a milkshake isn’t a milkshake unless you use real ice cream. If that’s the case, then the folks at Palmetto Fine Foods know how to make a milkshake the right way! They’re dedicated to quality in every food and beverage item they serve, and that quality is reflected in bite or sip you take. While you won’t find a huge flavor variety, you can rest assure that their shakes are as authentic as they come.